Everything Dental With Savon Dental Plan: Why You Should Scrape Your Tongue Every Day! When we are sleeping our digestive system remains awake, removing toxins from our body and depositing them onto the surface of our tongue. If we don't remove these toxins they get reabsorbed into the body causing other problems such as weakened immune system and respiratory problems. Improves breath: Removing bacteria, food debris, fungi and dead cells from the tongue reduces the odor from your mouth. To get the best results you need a tongue scraper, a toothbrush doesn't cut it. Improves taste: Removing the build-up will expose your taste buds. This will lead to better enjoyment of the flavors of your food. Improves dental health: Bacteria that is removed from the tongue are responsible for things like periodontal problems, plaque, build-up, tooth decay and many others. 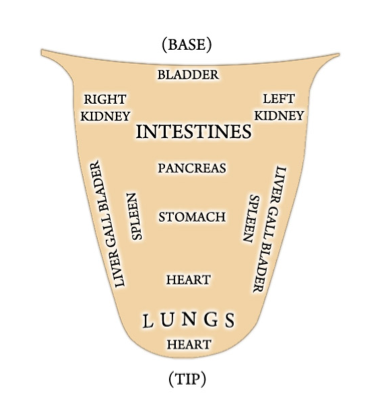 Did you know your tongue us a mirror reflection of your internal organs? By scraping your tongue you are stimulating and massaging those corresponding organs!